Mike Gilman hits a go-ahead 3-pointer with 30 seconds remaining in the Eagles' 55-53 upset of top-seeded Portland. There will be a new state champion in Class AA boys’ basketball. 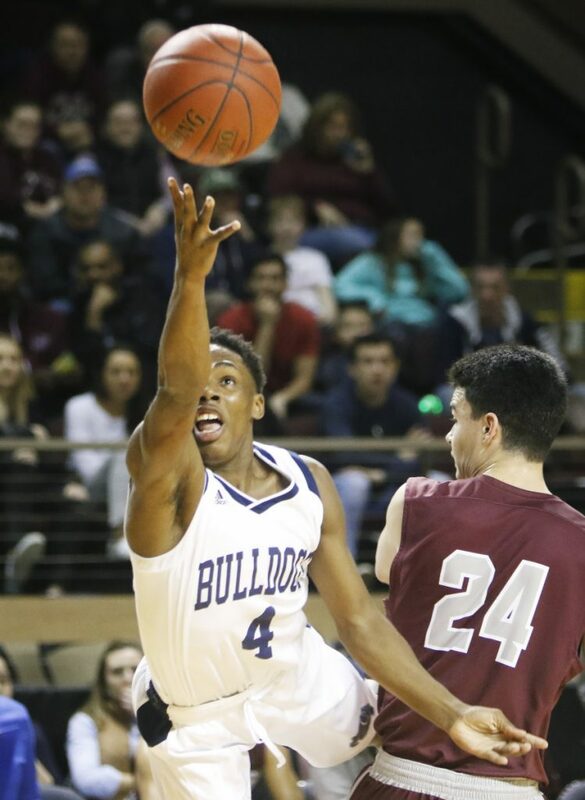 Windham’s senior backcourt of Mike Gilman and Nick Curtis combined to shoot down two-time defending champion Portland, 55-53, in a North semifinal Tuesday at Cross Insurance Arena. 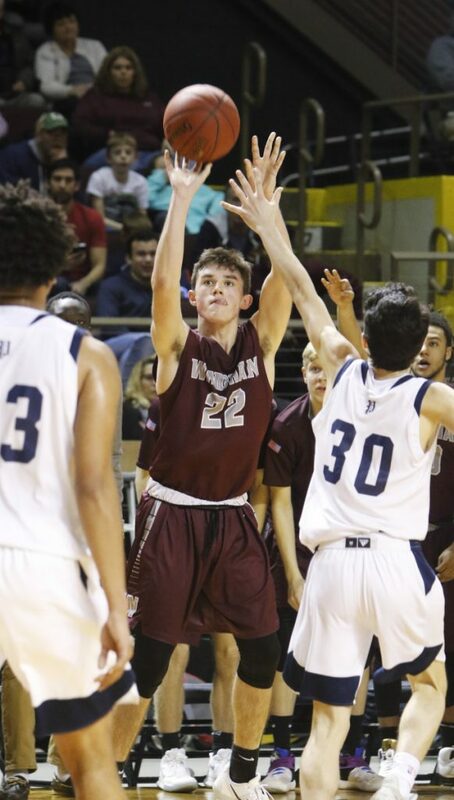 Gilman’s 3-pointer from the left corner with 30 seconds remaining gave Windham its first lead of the game. The go-ahead basket came after Portland standout Terion Moss missed the front end of a 1-and-1 with 39.4 seconds left. 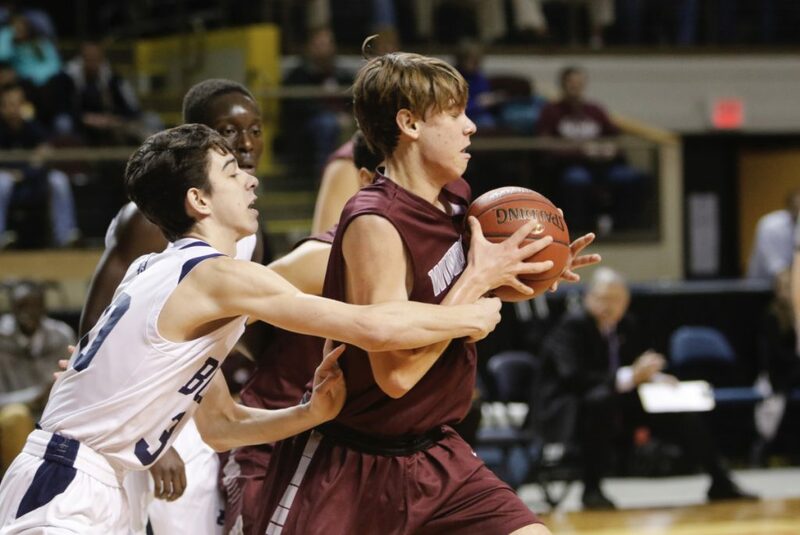 As Windham advanced the ball, Gilman drove his defender off screens. Gilman drained the shot for a 54-53 lead. Portland came up empty on its next two possessions, both 3-point misses by Griffin Foley, with a Curtis free throw in between. The fourth-seeded Eagles (15-5) will face No. 2 Edward Little (16-4) at 6:30 p.m. Friday. 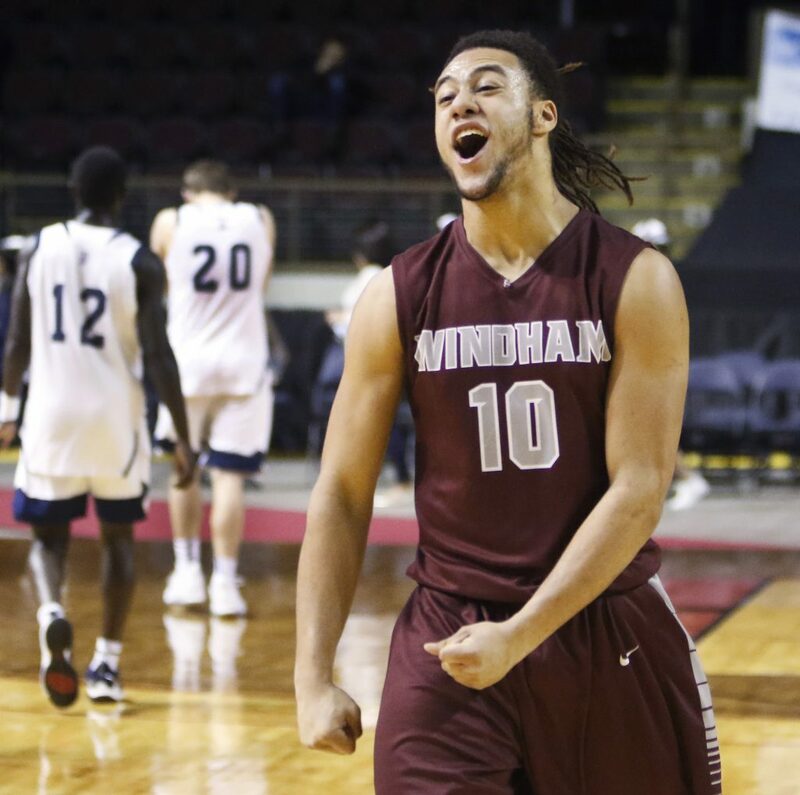 Windham beat Edward Little, 69-54, on Dec. 22. Windham has never won a boys’ basketball regional title. Gilman finished with 23 points and Curtis had 21, including two 3-pointers in the fourth quarter after top-ranked Portland opened a 51-45 lead. Moss led Portland with 22 points. 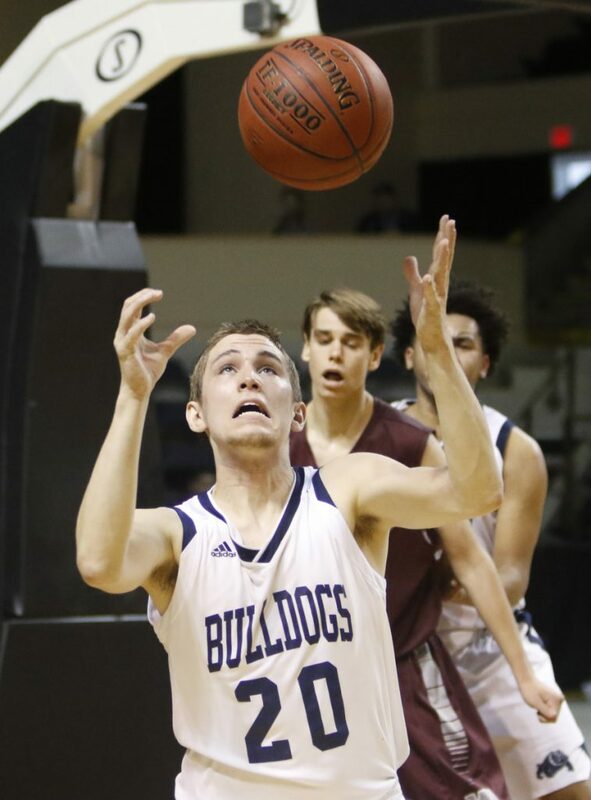 Trey Ballew played well inside and scored 17 points, but the Bulldogs’ supporting cast of Foley, Pedro Fonseca, Manny Yugu and 3-point specialist Simon Chadbourne (0 points) combined for just 15 points. “Shutting down his co-workers, his guys that he relies on, and making sure Chadbourne didn’t get off and not allowing him to get comfortable was a real key to our success,” Windham Coach Chad Pulkkinen said in reference to Moss. Portland took a 13-2 lead and stayed in front until the final minute, but Windham kept it close. 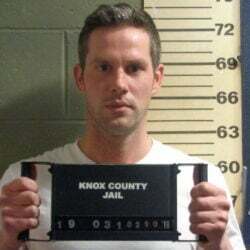 “Coach kept telling us all week, when you’re down on the mat, get back up, keep fighting,” said Curtis, who scored 12 points after picking up his fourth foul early in the third quarter. “We talked a lot about how we knew we were just as good as them, if not better, if we played a really good game, and we felt we were the best team in this tournament,” Pulkkinen said. Portland went 76-8 with two state titles and three regional crowns during Moss’s four varsity seasons, Foley was integral the past three years, and Yugu and Fonseca were key players on last year’s championship team.